High speed full automatic carton box folder gluer machine with bottom-lock functions,and can make 4 and 6 cornor boxes. 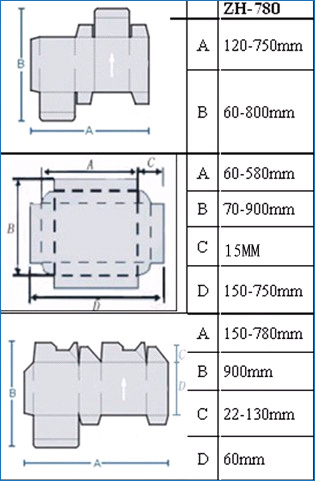 Main transmission adopts synchronous belt wheel, to ensure smooth operation, transmission precision. The main motor using dual-frequency control with stabilization and saving electricity. Each guide plate adjustment by tooth-type robs (high quality machine with motor electric regulation , adjustable accurately, simple and convenient. Feeding-paper part using multiple thicken belt with vibrating motor (high quality device machine with vaccum suction drilling belt), to make sure paper feed smoothly and continuously. Two glue drums for each upper and low tanks,to make sure glue various shapes boxes. Adopting photoelectric counter to count in preset number,and kick-plating device. 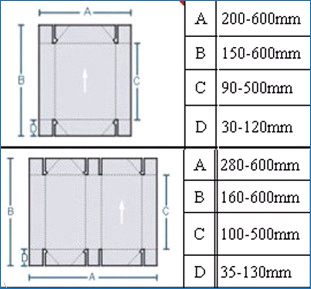 Presure of conveying part adjusted according to the boxes' shapes to ensure perfect quality.